Tropical Colours: Nail salon results at home! Well I mean, you can reuse them if you want but not sure if I want to. They do fall off quicker than I thought.. they don't last very long which is very disappointing! They look amazing! To me the biggest pro wouldn't even be the price (even though I do love saving money) but the fact that the professionally done nails make your real nails look TERRIBLE when you take them off. I'm always embarrassed about my nails for at least a month after removing the professional ones. 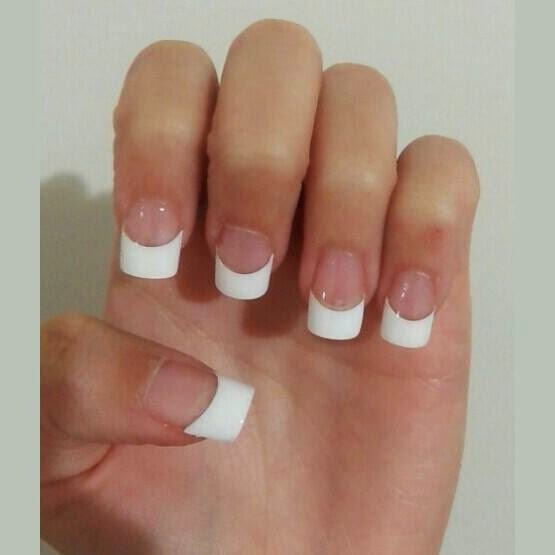 These ones there isn't any buffing, so your nails would still look just fine!